We sail south. The first day on board is a day at sea it is usual with other shipping companies as well. 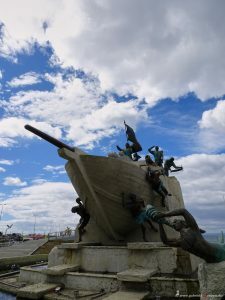 To explore the ship and to “arrive”. It is warm and a sun bed for sunbathing on deck is found quickly. So the day passes fast. In between, again and again one of the extremely delicious meals. At the first landing in Puerto Montt it is still wonderfully warm. A bus, which was chartered exclusively for our German-Danish group by the organizer Seadane Travel, is already waiting for us. We go ashore with the first tender boat. It is important that no food may be imported to Chile. Even the bags get checked. We do not see much of the city. 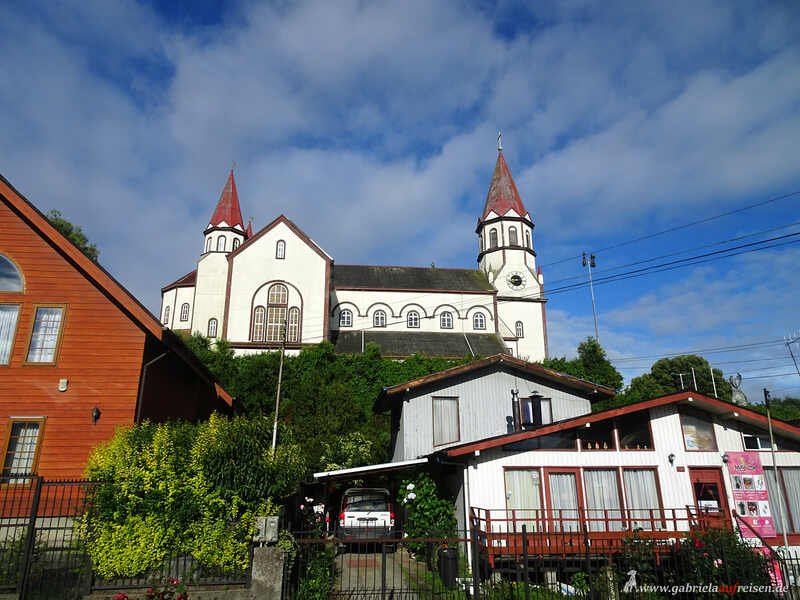 We drive straight towards the National Park Petrohue. In the distance two active volcanoes can be seen. Both with a proper snow cover. We stop briefly in the small settlement of Puerto Varas, which is located at the lake Llanquihue. 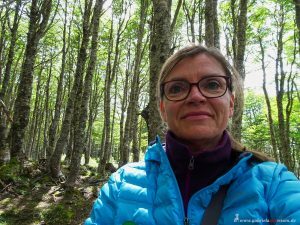 The place is popular with nature lovers because of the many hiking trails and with skiers because of the nearby ski resort. 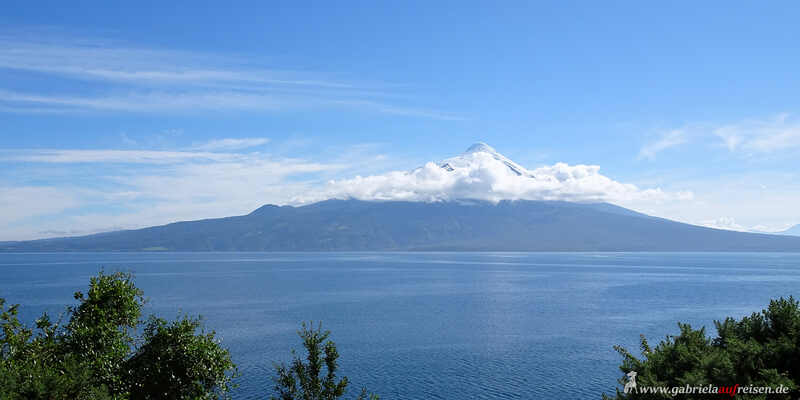 It offers us a great view of the conical volcano Osorno, which we will visit later. 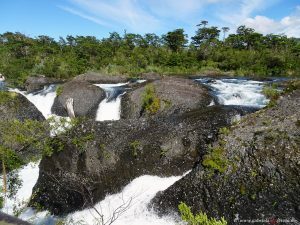 Then the journey continues to the impressive Petrohue waterfalls. 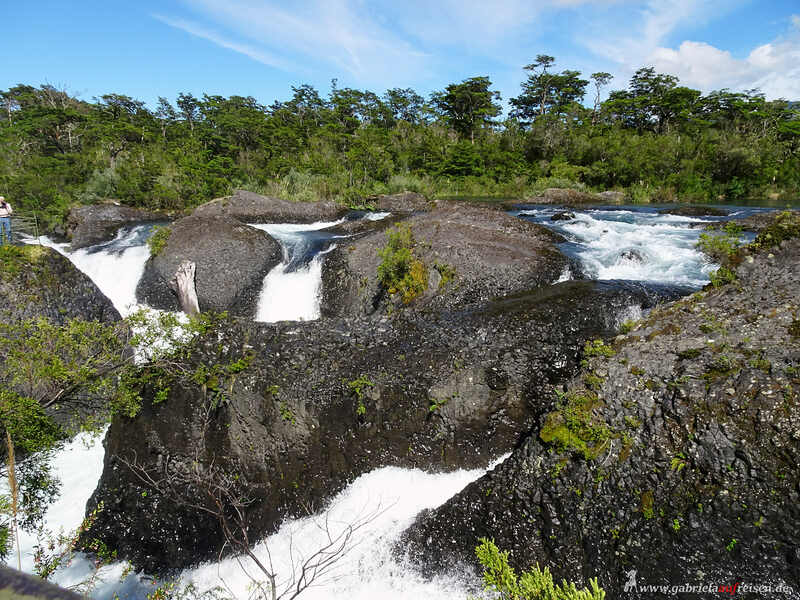 A short walk brings us from the entrance to the roaring river fed by Lake Esmeralda. 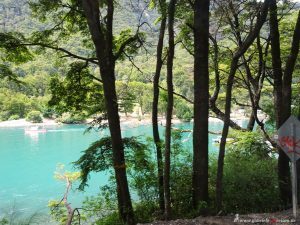 The lake was named after the color of the water, as we can see after a short bus ride. 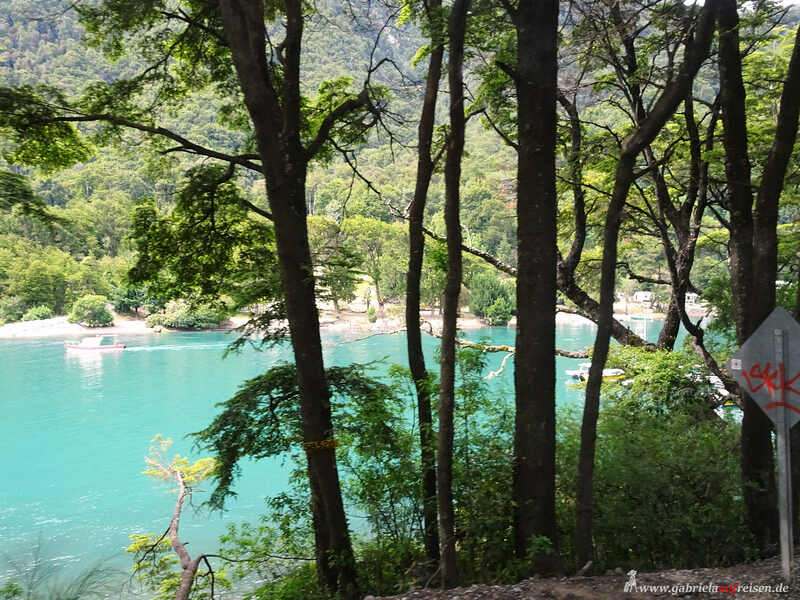 Its official name is Lago Todos Los Santos. 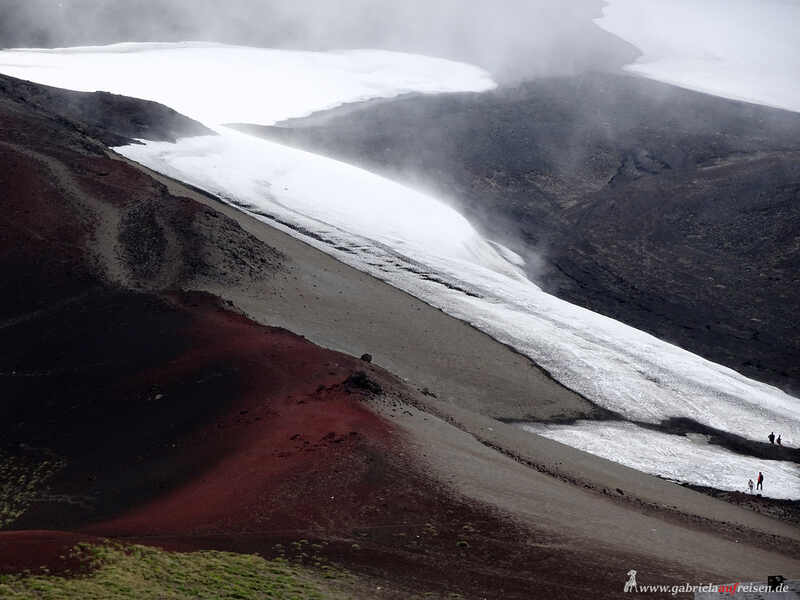 At the roadside on the way we can see again and again , which masses of ashes the volcano Osorno spit in 2015. A particularly delicious lunch is served at the Bombon Oriental before the bus drives the serpentine road up to the volcano.It’s fresh up here. If we had plenty of time, we could either walk the rest of the way over volcanic rubble to the top of the mountain which lies in the clouds or sit in the chairlift that starts here. It needs 30 minutes to get to his terminus. In winter it brings the skiers to the slopes. Only a few feet above the parking lot we still see even now in midsummer last remnants of snow that are to form a continuous blanket of snow. We enjoy the wonderful view over the lake and the surrounding mountains, before we take the bus back to the port of Puerto Montt. The next two days we spend at sea again. 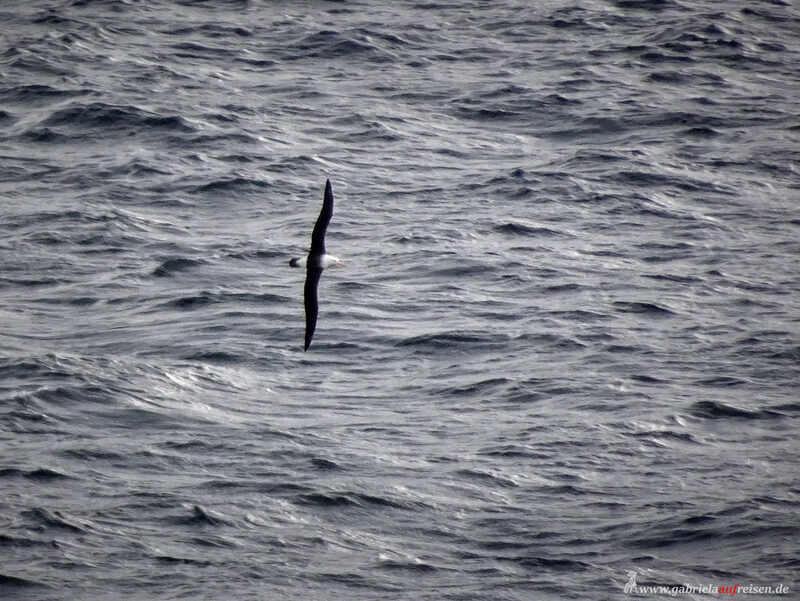 It gets noticeably cooler and I see the first albatross orbiting our ship. 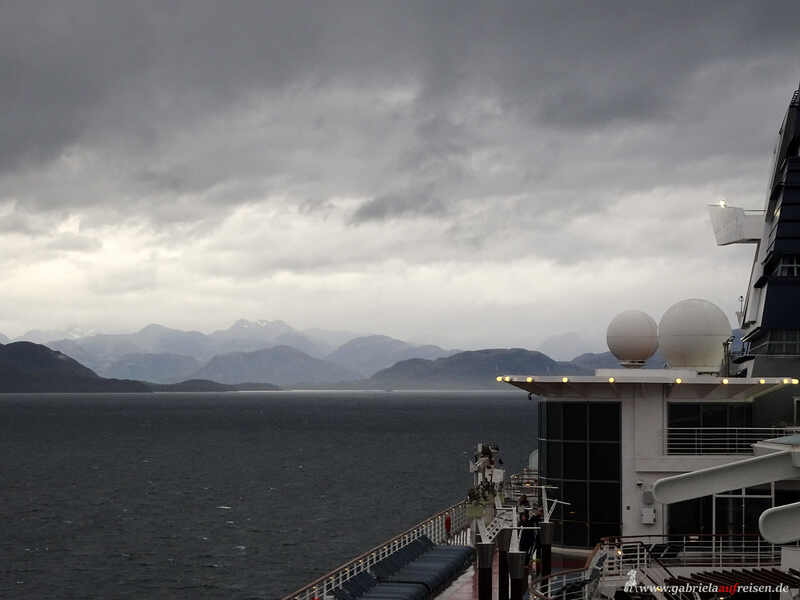 We drive through the impressive Chilean fjords. A passage between two islands is so narrow that I feel like I could touch the rocks to the right and left of the ship. Up to a certain height, the mountains formed by glacial glaciers are overgrown with trees. Many smaller and larger waterfalls make their way to the sea. Some mountains are high enough that there is still snow on them. The weather is reasonably stable. Now and again there is a rain shower, but also the sun comes out. Now I have my hat and rain gear as a windbreaker in continuous use when I do my rounds on deck. 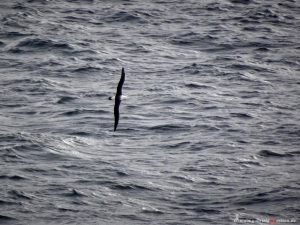 There are more and more seabirds and albatrosses, which inspire the passengers with their flying skills. They are so fast that every sharp photo is a matter of luck. As if to annoy us, in the evening they fly leisurely and quite slowly past the restaurant windows. Now I could take pictures …. The next morning we leave the protective Chilean fjords and drive a good distance across the open sea. Wow, here the wind freshens up properly, the waves running high. The announcement of the captain in the morning is clear, it´s getting uneasy, please do not go out, the ladies should not wear high heels. At noon I’m in the Constellation Lounge on Deck 11, as a decent jerk goes through the ship. Glasses fly, a few people fall. What happened? A very strong gust of wind has caught the Celebrity Infinity from the side. On one side of the ship, I have the feeling that the sea has now come closer, on the other side, I only see the steel-gray sky. Huh, the ship is very lopsided! Some things started to slip on the ship. In the duty-free shop, the bottles fell off the shelf. The cosmetics of some guests are scattered around in the bathroom. The crosswind lasts for quite a while before the ship is straight back in the water. Then, towards evening, we turn into the Strait of Magellan. Immediately it gets calmer again. 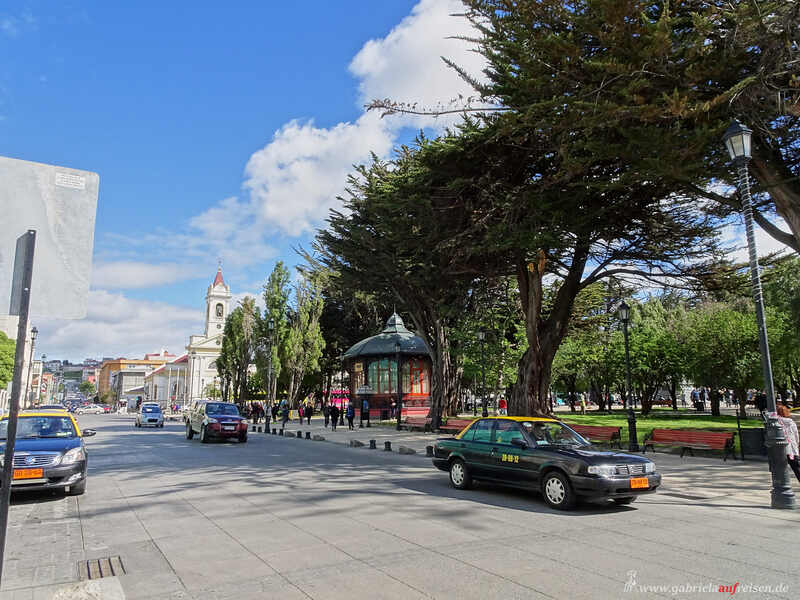 I do not notice much about it today because most of the way to Punta Arenas, where we´ll arrive tomorrow morning, we`ll do overnight. From the Pier, which is located directly in the city, I guide my customers a bit through the city. 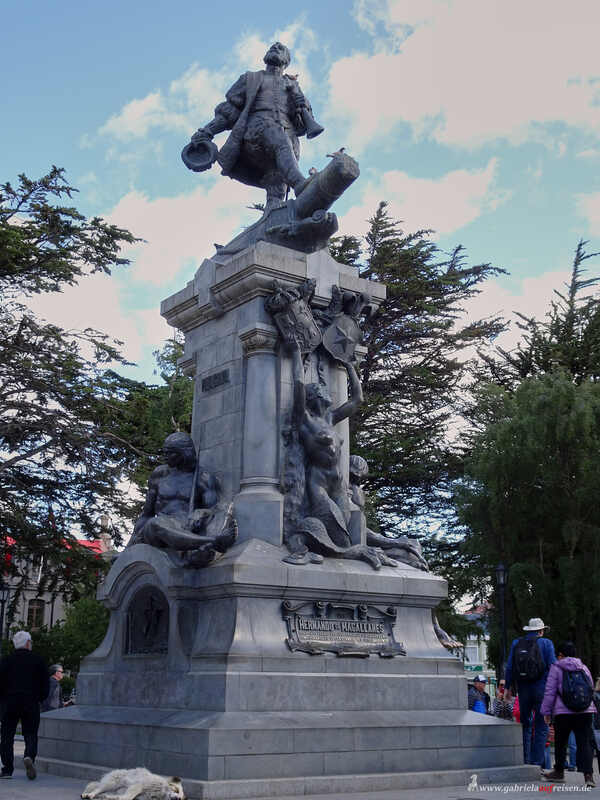 At the Plaza de Armas, which is surrounded by ancient trees, gather all the tourists, because here stands a famous monument of the sailor Magellan. The legend goes, who kisses the foot, comes again. We do not queue, but go ahead and take a look at the city. Around noon we start our trekking trip. 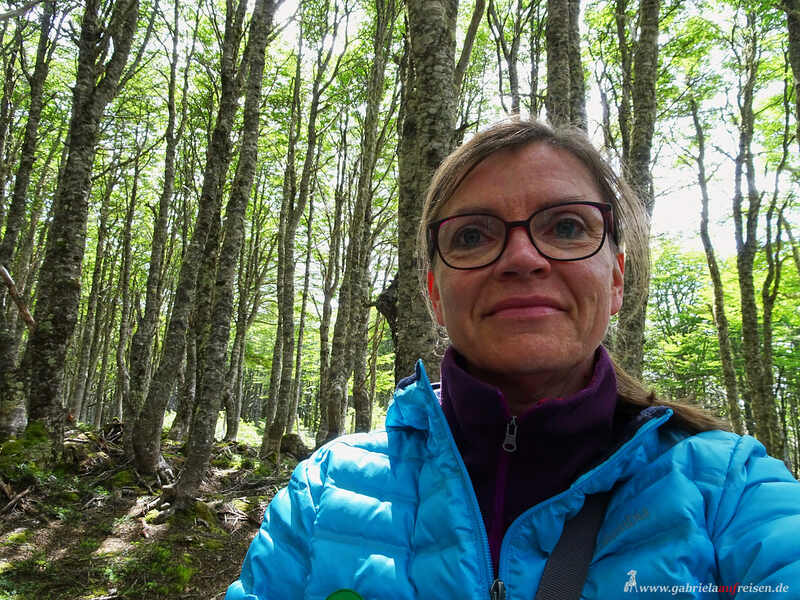 Through the original beech forest we hike over hill and dale to one of the surrounding mountains. 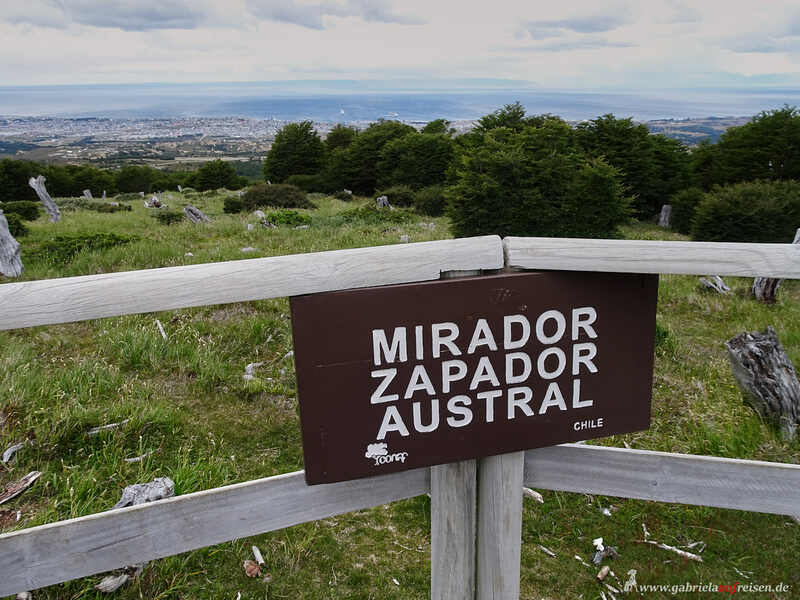 Here a stiff breeze blows, but the view over the hinterland, the city and the Strait of Magellan is fantastic. 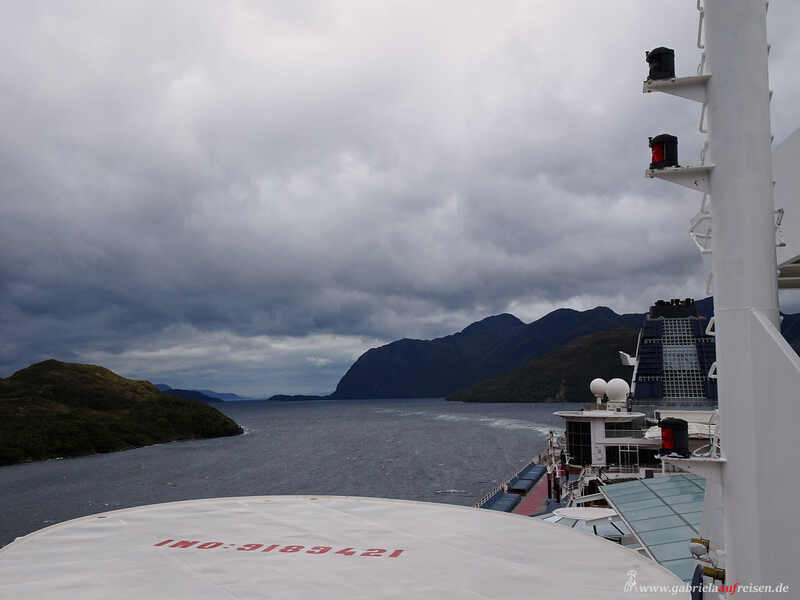 Overnight, we follow the Strait of Magellan by ship for a bit, to arrive in Ushuaia through the Beagle Channel in the morning. 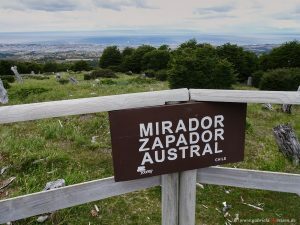 What awaits us here and “around Cape Horn”? In the next blog post you will learn how it proceeds. I look forward to your comment, here or on Instagram, Pinterest or on Facebook. See you!